In the village of Santa Elena lives a little girl named Elsi. When we first met Elsi she had teeth growing out of her nose. She was suffering from one of the worst cleft palates we have ever seen. The Lord told us that day we needed to help Elsi. Every year the local clinic in Gracias hosts medical teams from the States. Through a contact at the clinic we made an appointment for Elsi. After the first appointment the surgeon said he could not repair the cleft palate because she was underweight. He was however, able to repair the outer part of her mouth and nose. He said he would be able to do the surgery to repair the cleft palate the following year if she gained enough weight. So the following year we supplied Elsi with Whey Soy Formula and a special bottle. This January Elsi returned to receive the second surgery. The doctors told us that it was successful. Elsi’s parents were given instructions to keep Elsi on a strict liquid diet for two weeks. Unfortunately, the parents did not follow doctor’s orders and the stitches inside her mouth ripped open. 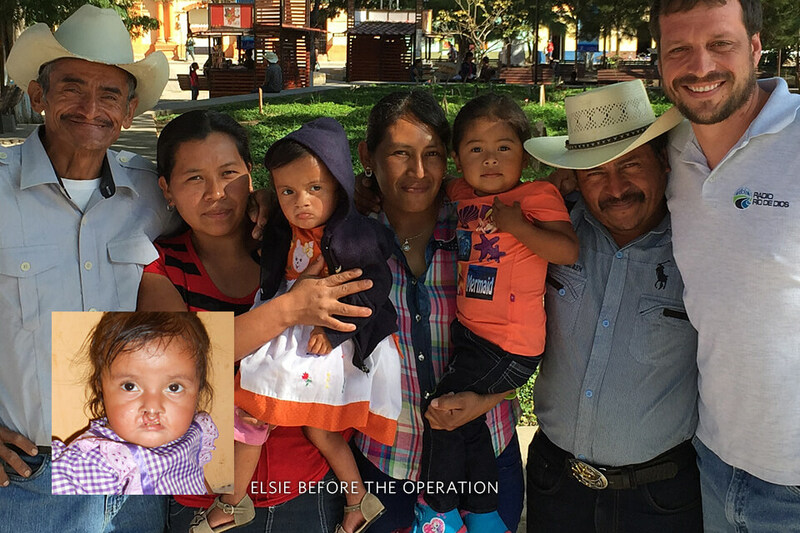 As a result, Elsi had to go through another surgery to repair her cleft palate again this year on February 22, 2016 provided by an organization in Tegucigalpa. Elsi received extraordinary and integral care, not only medical but also with speech therapy and several dental procedures. Please continue to pray for Elsi and her family this year.